"The Gift" is Joel Edgerton's debut as a feature film director (he also stars in the film), and sweet Jesus is it good. "The Gift" is an expertly crafted stalker thriller that messes with audience expectations the same way a high school girlfriend messes with emotions. It is genuinely suspenseful and surprisingly really involving. The film gets you caught up in the tense dynamic between the three leads - who all do a tremendous job - and will leave you absolutely stunned as it draws to a close. Ignore the trailers, kids. "The Gift" is wonderfully unconventional. I cannot praise Joel Edgerton enough for his great work as a director. He crafts shots and builds tension almost seamlessly while getting you completely wrapped up in the darkness and pain behind each of the character's eyes. If there is one problem with the film, it's that it delivers two jump scares that work as a quick jolt, but not as a story telling element. That's not what this film is. 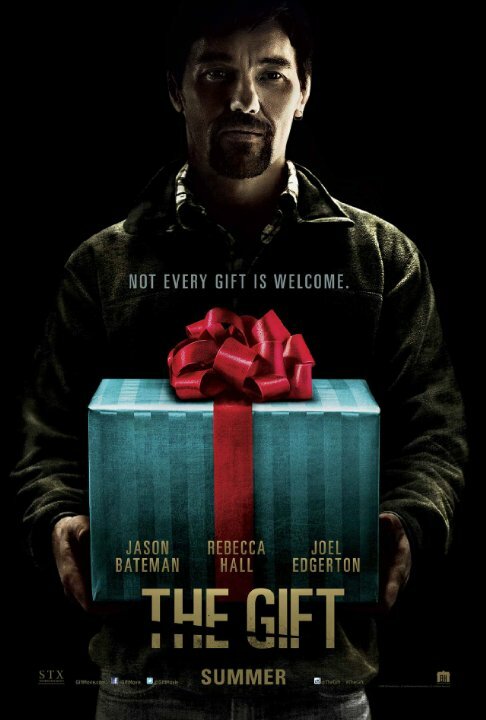 "The Gift" is a fantastic thriller and an even better character drama. It's an amazing debut from a great new talent behind the camera. It won't beat Fantastic Four, but I think it deserves to. Blumhouse is always good for a thriller - let's hope Edgerton just keeps getting better from here.